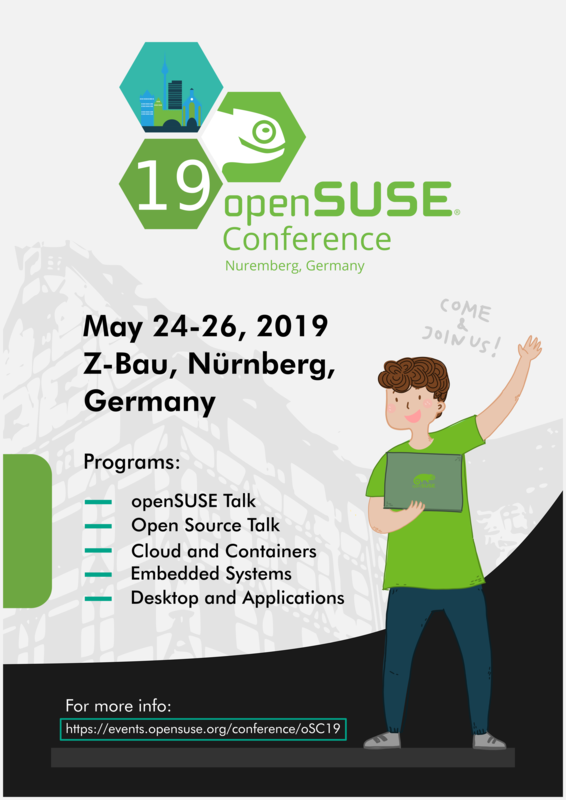 openSUSE had a poster design contest for the openSUSE Conference 2019. Vote is now closed. Here are the results from the vote. 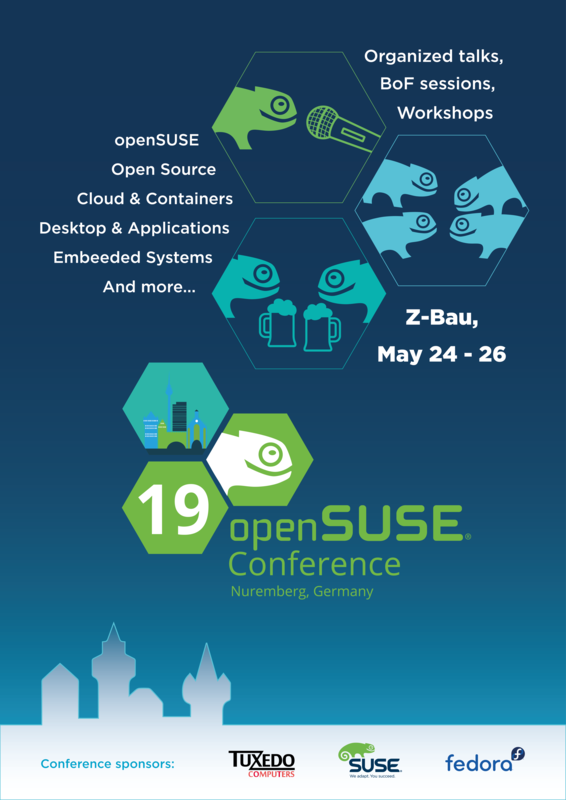 Community members can create a poster image for oSC19 between Dec. 1 and Jan. 15. Example posters designs should be uploaded to this wiki page. The winning design will be announced the week after the Jan. 15 deadline. 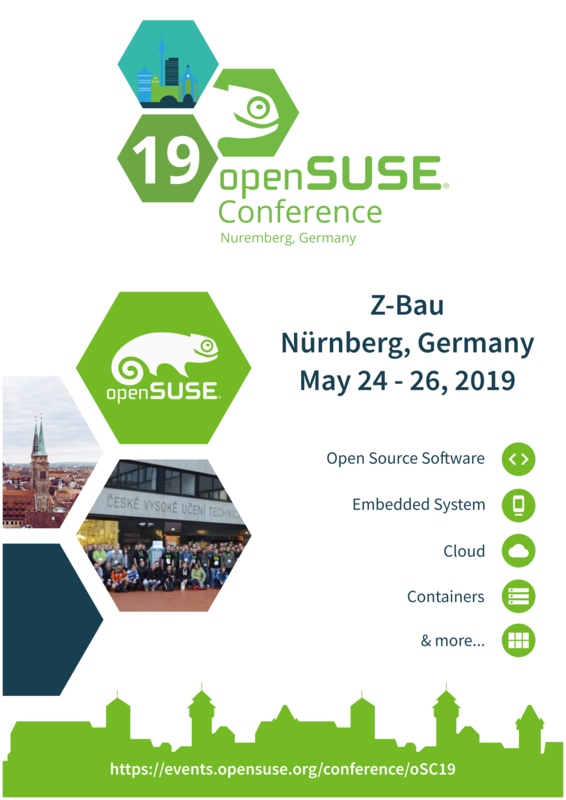 Posters should include the openSUSE Conference name, the date (May 24 - 26) and the location (Nuremberg, Germany) of the conference. The posters should be added to the contest wiki page as a .png so people can view the design. 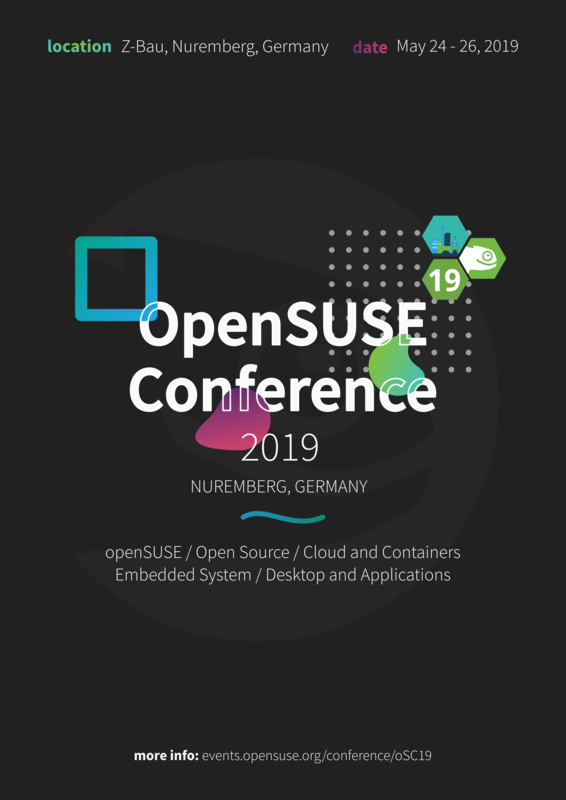 This page was last modified on 15 January 2019, at 18:33.